Keith A. Clark is Chairman of Shumaker Williams, P.C. He joined the Firm in 1969, and has been a shareholder and has managed the Firm since 1972. Mr. Clark is a member of the Corporate and Financial Services Department. Mr. Clark has been General Counsel to: the Pennsylvania Automotive Recycling Trade Society since 1970; the Pennsylvania Association of Community Bankers since 1977; the former Pennsylvania Tourism and Lodging Association since 1981; the former Pennsylvania Restaurant Association since 2007; and the Pennsylvania Restaurant and Lodging Association since 2012. Mr. Clark has since been employed in financial institution operations and served as outside general counsel for a thrift institution. He has developed and managed office real estate and has provided business consultation to for-profit and non-profit entities. He is a member of the national panel of Commercial Arbitrators of the American Arbitration Association. Mr. Clark concentrates his legal practice in the following areas: business, financial and legal advice to financial institutions; general business and corporate law; commercial real estate; mergers and acquisitions; trade associations; business planning – strategic & long range; governance issues; and government relations and legislative review. Mr. Clark has lectured to boards of directors, trade associations and businesses on laws affecting the financial services industry, mergers, acquisitions, reorganizations, for-profit and non-profit governance, officers’ and directors’ liability, ethics, land development and tax, estate and business planning. He has lectured on banking regulation at Penn State – Harrisburg and on ethical issues through Widener University. Mr. Clark is a graduate of Leadership Pennsylvania. He is active nationally and in the community, and currently serves as: an Executive Board Member of the Boy Scouts of America; President of the Northeast Region, Boy Scouts of America; Director and Chairman of the Trust Committee of Keystone Area Council, Boy Scouts of America. 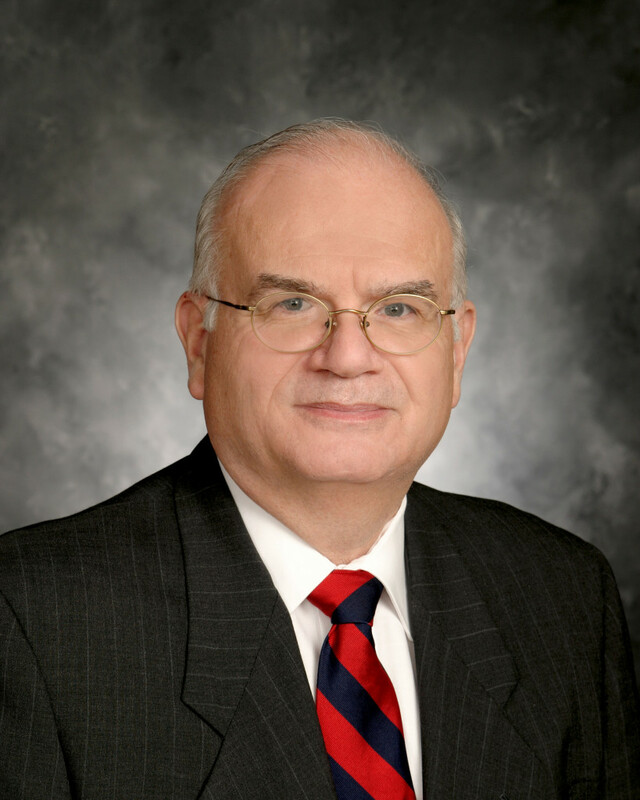 Mr. Clark has served as Chairman: Envision Capital Region; Capital Region Economic Development Corporation; Penn State Harrisburg Board of Advisors; Pennsylvania Crime Stoppers, Inc.; Greater West Shore Chamber of Commerce; Estate Planning Council of Central Pennsylvania; Perry County Planning Commission; and Tri-County Regional Planning Commission. He also served as a Borough and Industrial Development Authority Solicitator and has received numerous community awards and citations. Mr. Clark received his Juris Doctorate from the Dickinson School of Law and a B.A. in Economics from Rutgers College. He served as a First Lieutenant in the United States Air Force. While at law school, he was an Associate Editor of the “Dickinson Law Review.” He has written over 100 articles for various professional and trade association journals. Pennsylvania State University Dickinson School of Law, J.D.